Denver, Colorado is a city that has been underrepresented in hip-hop up to this point, but Vonny Loc is looking to flip that narrative. 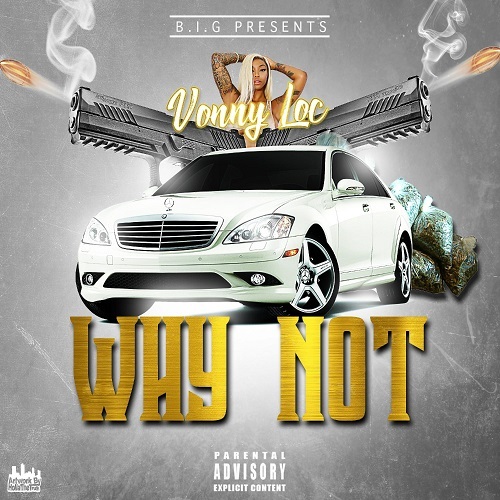 Denver hasn’t established a sound or an identity on a national scale but with this new Vonny Loc single “Why Not” the rapper finds a way to incorporate some west coast influences with some edge and wit that resembles an east coast emcee. The 27-year-old rapper clearly has some skills and a tested pen game and “Why Not” is a testament to that. Vinny Loc has an ability to float on this instrumental in a way that catches the listeners ear because he raps with so much diction in his voice. Check out “Why Not” below and make sure you don’t sleep on Vonny Loc or the city of Denver.